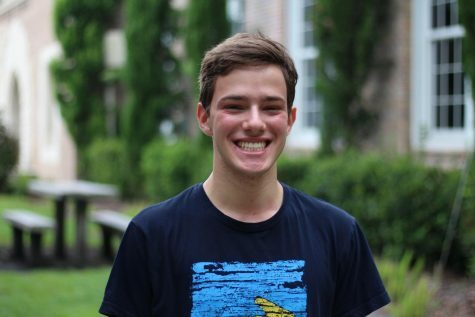 Dean Criser is a senior and the Copy Editor in Chief for the Pep O' Plant newspaper. He is often incorrectly called the name of his twin, Jake, and is correctly called amazing. When he is not editing for the newspaper, he can be found volunteering at Cornerstone Kids or helping out with NHS dues. He is a certified pun-enthusiast and enjoys playing guitar. He loves oranges and hates olives, and he loves people who hate olives. His life can be summed up by filling up a tall glass of water and immediately spilling it on the carpet.